Custom Tailored 1:6 Scale Outfit set based on costume worn by Sebastian Stan in the "Captain America: The First Avenger" movie. Shipping out first batch of Negan clothing sets and accessories. Here's our take on the Clothing and Harness that we were commissioned to make based on Duke Nukem. We're offering a limited run of 1/6 Scale Smallville Clothing sets for those who still want to have them. 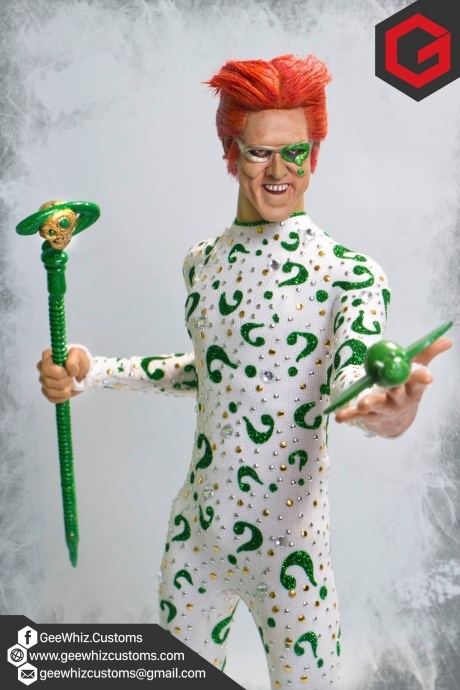 Custom Made Riddler based on Jim Carrey's character in the 1995 movie Batman Forever.